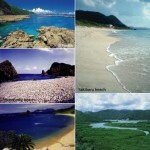 Mishima islands consists of 3 islands: Kuroshima, Ioujima and Takeshima. Ioujima which consist half land is active volcano is dynamic. Try natural hotspring located on the foot of volcan and the ocean view in front. 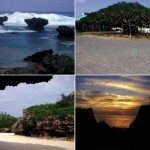 Mishimamura village consists of three islands; Takeshima island, Ioujima Island and Kuroshima Island. Mishima is rich in nature. 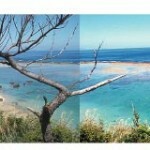 Most of the seashore is cliffs and is surrounded by clear marine blue sea with lots of beautiful tropical fish. Takeshima is an island covered with bamboo trees and the name of the island "Takeshima" means "bamboo island". The gate of banyan trees is the symbol of the island. Farms are spread out over the island, and about 100 cows, almost same number as island's residents are pastured. The biggest island in Mishima, Ioujima, is magnificent. In the centre of Ioujima rises an active volcano. This Volcano brings natural hotsprings. 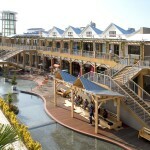 Higashi Onsen is a splendid open-air onsen which is located on the foot of the volcano and by the seashore. Sunset or a clear night sky is the best time to enjoy the hotspring, while viewing the beautiful scenery of the volcanic island and listening to the ocean. Many wild peacocks live on the island. There are some white peacocks. It is believed that if you see the white peacock, you will have good luck. Kuroshima island is a rich repository of wild birds and rare plants and flowers. There is only a river in Mishima islands. The river is surrounded by a virgin forest. The biggest event of Mishimamura is Mishima Cup Yacht Race. About 50 yachts from inside and outside Kagoshima compete on the ocean around Mishima. Mishima Cup Yacht race will be held on August 7th this year. Recently, Mishima is known as the island of Djembe. Djembe is a traditional percussion instrument of Western Africa. The djembe was introduced to this small islands by the top Djembe performer Mamady Keita from Guinea. Since 1994, Mishima's children and Mamady has performed inside and outside Japan. From this Summer, Djambe School will open in Ioujima. 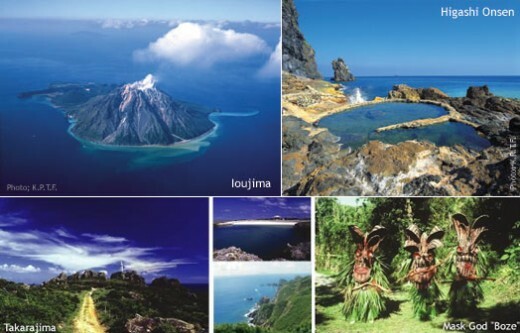 Toshima islands consists of 12 islands including 5 desirt islands. Only transportation to islands are ferry as sama as Mishima islands. Therefore, many splendid nature which is called "Japan's last mysterious regions" and local costoms are remains in islands. There are some special folk art performances and festivals. Toshimamura is the longest village (162km) in Japan and consists of 7 islands and 5 desert islands located between Yakushima and Amami Oshima. Toshimamura is also called "Tokara". 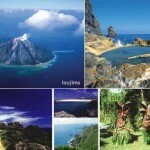 Every island has rich nature with a special attraction like a Volcano, coral reef or hotspring. And Toshimamura has a unique culture which is influenced by two main lands Japan and Ryukyu (now, Okinawa). The sea around Toshimamura is the confluence of the Pacific ocean and the East China ocean. 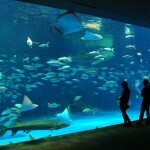 Therefore, various fish can be seen. For fishing lovers, Toshimamura is the one of the best points as a treasure trove of fish. The only transportation to the island is by ferry which runs only a few times a week. Due to the inconvenient transportation, tourists are not abundant. Therefore, nature, creatures and the beautiful blue sea has remained untouched. Population of each island is less than 1000 people. It is said Toshimamura is the last mysterious region in Japan. Kuchinoshima is a gate to the islands and the island of white lilies. The biggest island, Nakanoshima, is the center the island. There is an astronomical observatory and historical museum and free onsens. 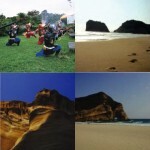 Tairajima is the island which has a rich historical back ground. Many historical monuments and places exist. Suwanosejima is the volcanic island. Akusekijima is the island of the mask god "Boze" and hot spring. 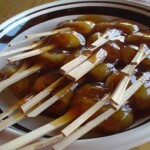 The Boze festival in Summer is unique and traditional. Kodakarajima is the smallest coral island, Cycad trees and red hybiscus flowers are grown on this island. Takarajima is also the coral island. It is believed that Takarajima (literaly "Treasure island") is the island on which Stevenson's novel "Treasure island" is based.